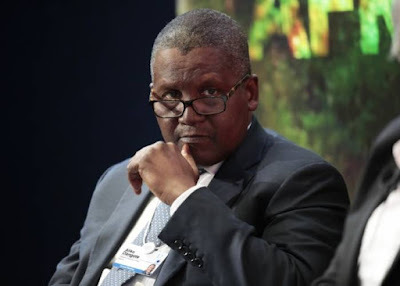 Africa's Richest Man, Aliko Dangote who has had his previous bid to takeover Arssenal football club Rejected twice seems to have issued a threat to the hierarchy at the club, he did so in an interview with Bloomberg TV in Singapore, Read from his words below..
"I’m very attached to Arsenal but if he won’t sell, I might have to change, I’m very much a fan of football. I'll like to have a club. I don’t have to own Arsenal."